Saturday morning before we made our way to New Braunfels, we walked over to the Alamo. 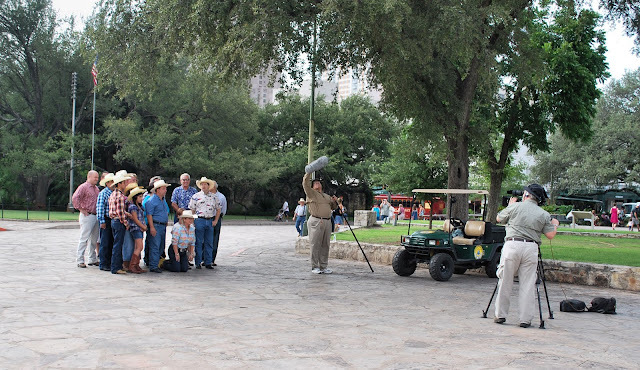 What caught my eye was this group filming something. I could only make out them saying welcome to San Antonio. Of course I had to walk behind them while they were working and wave my hands in the air. The Kaufman 7 on 7 football team made it to the Division II Quarterfinals where they lost to the eventual champion Melissa by one point. The Terrell Tigers host the Lions from Kaufman in the first game of the year on August 26th. The Tigers begin practice in just over two weeks. Cilla has started a new photo blog called Daily Dog Photo. No races for the next few weekends. Unless something shows up on the Run On Texas calendar, the next race will be the Melon Dash 5K in McKinney on August 6th. There's going to be a triathlon on August 21st at Lake Tawakoni, its the 2nd half of the Spring Fall Classic . It may be a good photo taking opportunity. The USA Woman's soccer team didn't win the World Cup, but they had a great tournament and you have to be happy for Japan. 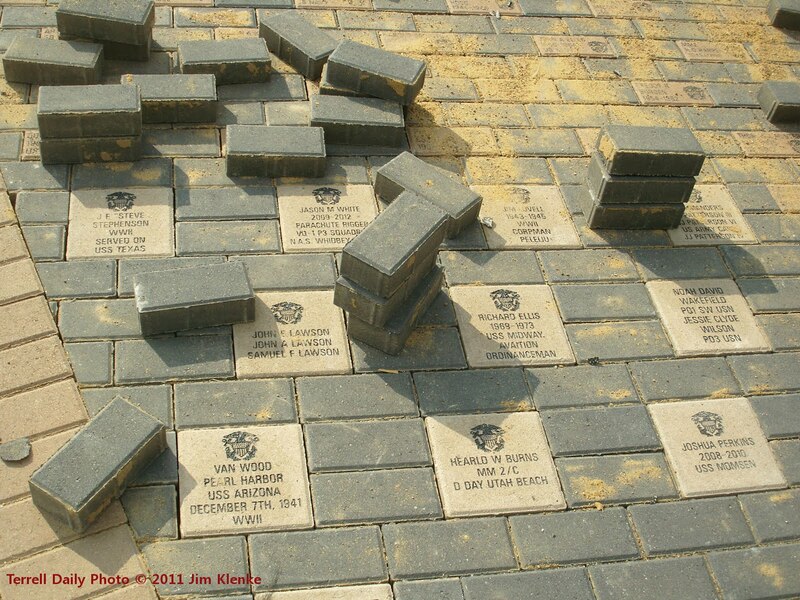 Bricks are being put into place at the Terrell Veterans Memorial. The DFW area has been over 100 degrees for 16 straight days. 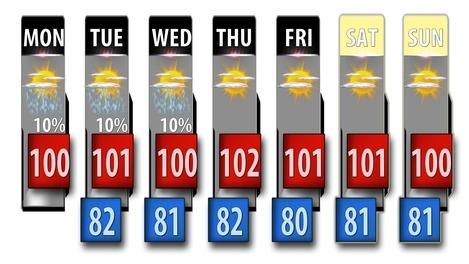 The 7 Day forecast from WFAA doesnt look like we are going to get a break anytime soon. Has anyone seen my car?